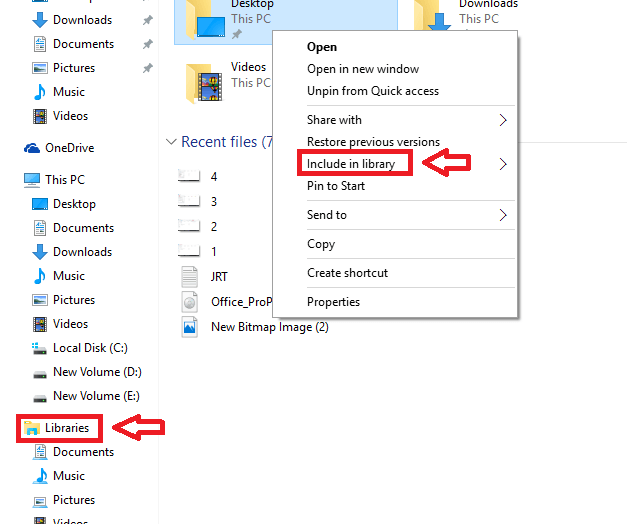 How to show Libraries in Windows 10: – Your computer will be having a lot of files and folders of various categories under different names and stored at different locations. The best way to manage these files is by hierarchically arranging them into various folders, subfolders, and files. At times, it is a time consuming task to find an important file that you want right now or to manage files that are scattered at multiple locations in your computer. Libraries is a convenient feature that was introduced in Windows 7. This feature provides a central place to access such dispersed files and folders by displaying them as a single collection. Libraries feature is a very handy tool for a well-organised device. It aids you to easily retrieve files. However, Libraries by default was put out of action from Windows 8. At first glance, you wouldn’t find this option in Windows 10 platform. And just when you thought this feature might not be available in Windows 10, here’s a few easy steps to enable the Libraries feature. First open Windows Explorer. Click on View option at the top left side and press the Options button. An Options window will be opened. Choose the View tab in the window. You’ll find a list of options that appear under the Advanced settings. Among these options, click on Show Libraries option.Press the OK button. You can see the libraries on the left side of Windows Explorer. 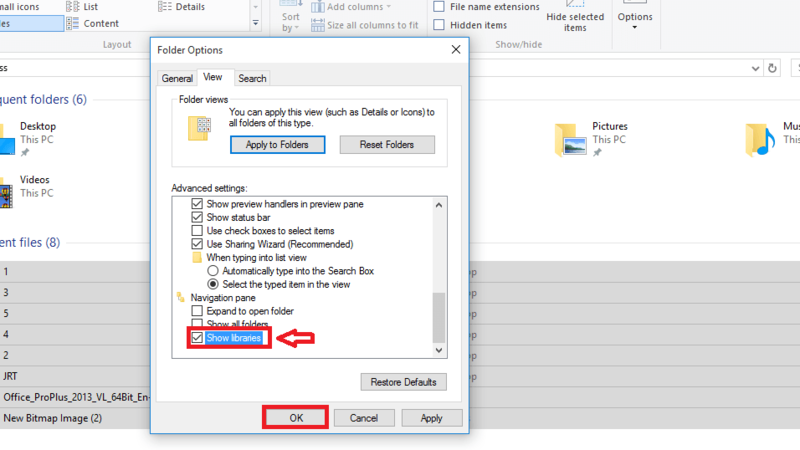 To add a folder to a particular library, right-click the folder and click on Include in library. All your unorganized stuff will now have a structured arrangement. You can sort items by folder, date or other specifications of the files. So make the best use of Libraries to sort your Music library by Artist so that you can quickly tune into your favorite Artist or to customize Photos to get a look at the pictures of your dear ones in no time!